Everyone wants a prosperous marriage. If this is true, then why are so many marriages TROUBLED? We can find the answer in proverbs. This verse is saying that the REWARD of being a righteous spouse is having a prosperous marriage. Righteousness is the character or quality of being right or just. Righteousness is fulfilling our responsibility of being in a right relationship or right standing with God. In Hebrew word TSEDEQ is translated “righteousness”. We are not to just do what God says to do but we are to become like him. Jesus stressed that righteousness is about our thoughts, motives, and desires which is a HEART MATTER. Jesus stressed that righteousness is not about outward behavior. CASE AND POINT: As I was growing up, I prided myself on doing what was right. I knew there were two different roads that I could go down, but I always tried to pick the right road. I didn’t enjoy behaving all the time, but I made it a point not to lie and fulfill my responsibilities. But the day I gave my life to God, he showed me how my desires were for the things of the world and even though I tried to do what was right, I missed the mark. He continued to deal with my heart and if I wanted heaven I needed His righteousness. My words to him were, “If there is a heaven, I want to be there.” That day he gave me the assurance that I have a place in eternity with him. Do you want to be rescued from a troubled marriage? 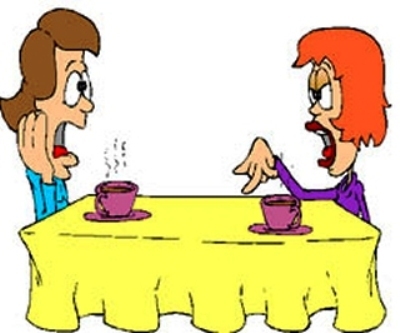 Do you let God help you with what you say to your spouse when you are ANGRY? Do you want to be a blessing to your spouse? Have you asked God to make changes in your marital relationship and you are still waiting on God. How do you act when things don’t turn out your way and you feel violated? Do you carry terrible thoughts about your spouse and seem to have negative attitudes? Why do some marriages suffer? We may not always UNDERSTAND all the reasons why our marriage is suffering. Our job is to be consistent with His righteousness.